N690Co as it is sometimes called, a Cobalt-enriched stainless steel from Austrian steel company Bohler. Additions of chromium and vanadium enhance edge holding capability, while cobalt and carbon help to retain high hardness. Hardens and tempers to 57-62 HRC .N690 shares some similarities with it's other Cobalt-steel bretheren such as ATS-55 and VG-10, which are used by Spyderco. My N690 knives are tempered to 59-60 Hrc for maximum toughness and to avoid chipping and cracking of steel. 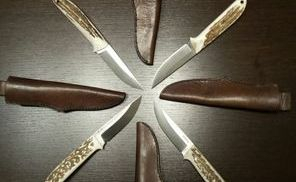 Most of the knives in the past I was made from 1075 steel. Tough carbon steel that's suitable for forging or stock removal and especially good for knives of all sizes offering a good balance of toughness and edge-holding. Your knife is one of the most important tools you carry when camping, climbing, hunting or hiking. Dull blades are useless in a pinch. Carbon steel knives, like other iron and steel items, need to be cleaned and oiled to prevent oxidation damage. 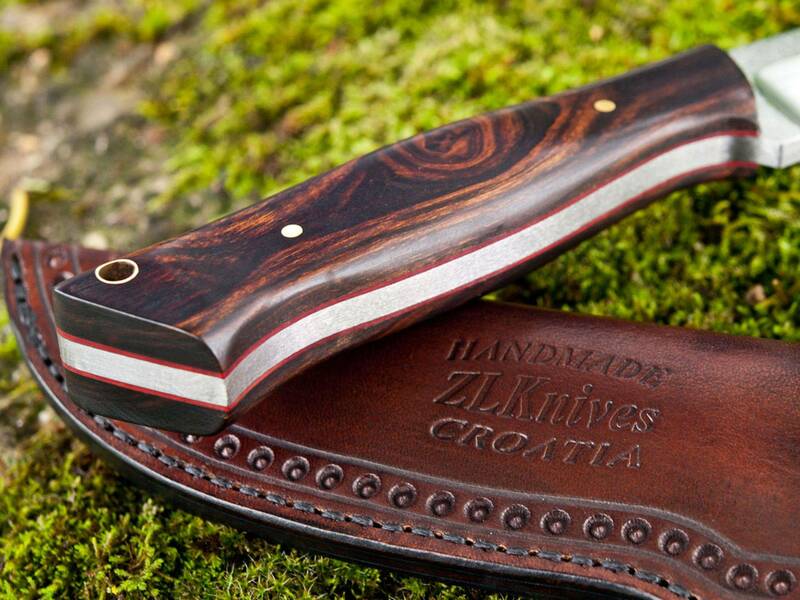 Rub the blade of your carbon steel knife with a metal-cleaning wadding, nonabrasive compound for metal polish. Let the knife sit until the oily liquid from the wadding dries white. Wipe away the cleaning compound with paper towels or a clean, soft cloth. Oil your blade with spray penetrating oil or gun oil, unless your knife is used for food preparation. If so, use olive oil instead. Wipe the blade dry with paper towels, and store the knife in a dry place. Do not store your knives in their sheaths for extended periods, because condensation sometimes collects inside. Wipe your knife clean after every use, and reapply your choice of oils.